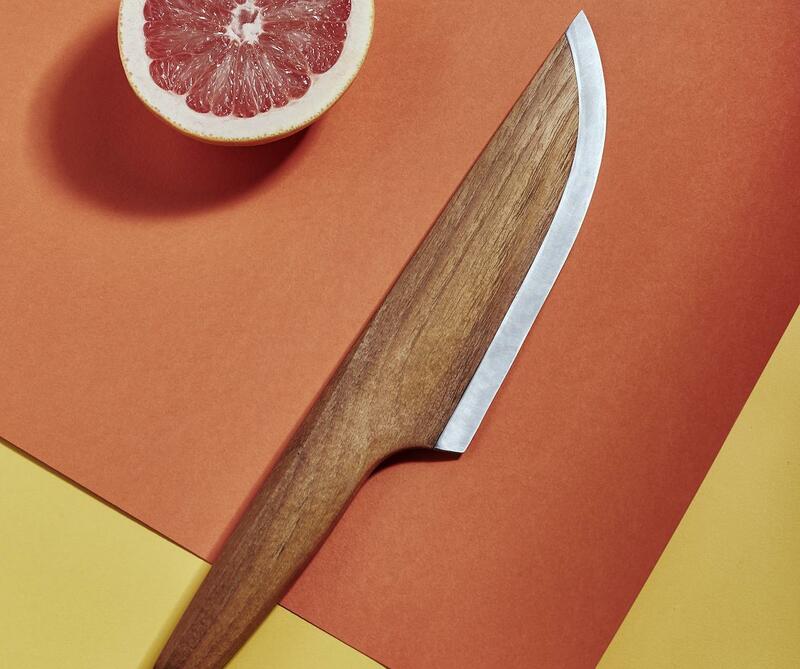 HomeBlogHome DecorSKID Wooden Chef Knife: Form Beyond Function. The SKID challenges the way you perceive cutting tools, it is the perfect example of revolutionary concept conceived from scratch, which became a fully functional tool through determination and great design. 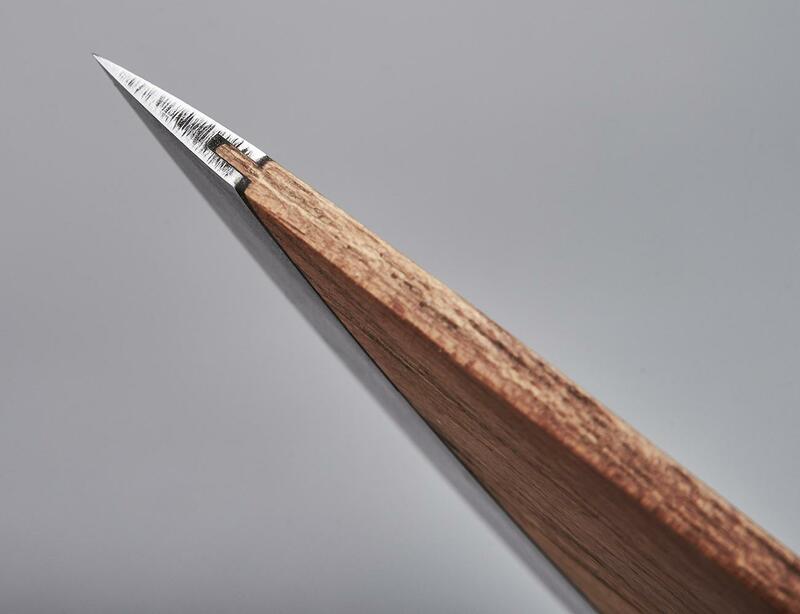 It was developed by LIGNUM, a product design agency that specializes in ecological sustainable product ideas. The designers started from a mere sketch, while thinking completely out of the box. 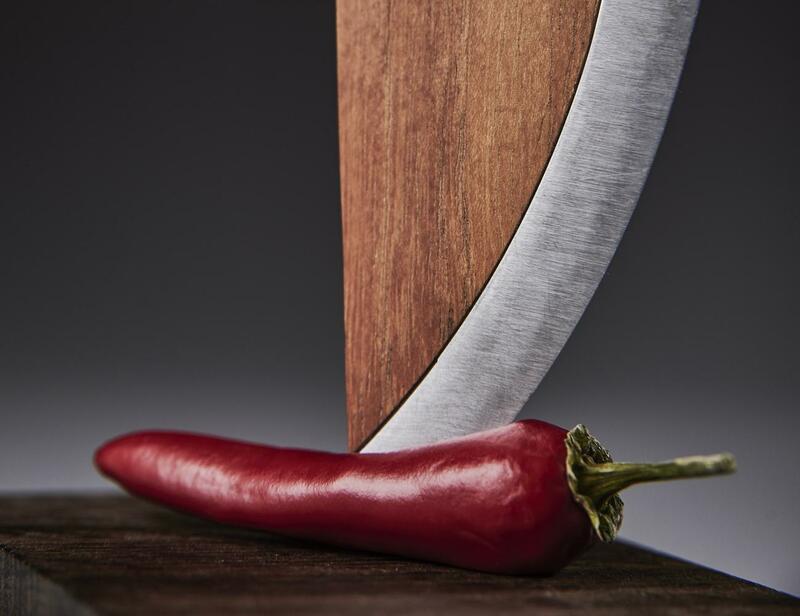 They even challenged metal, the material of choice for the majority of knives throughout the centuries. 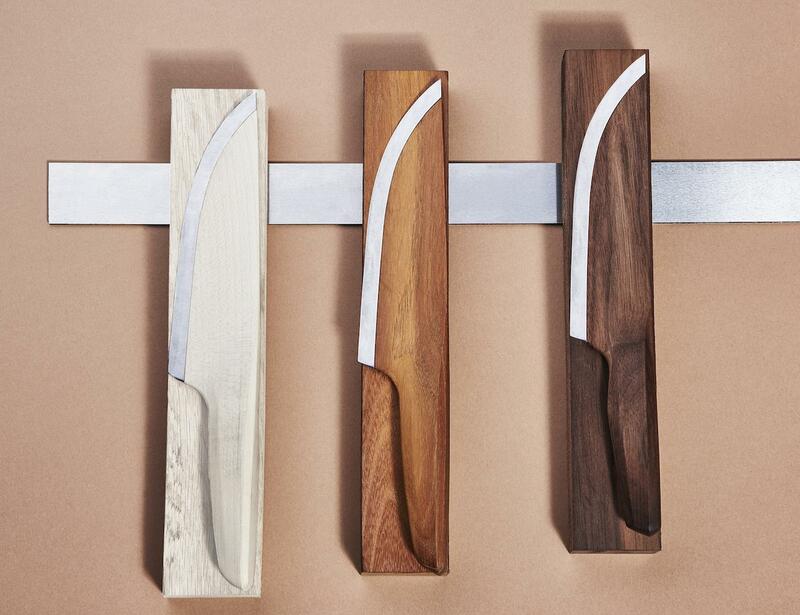 Carbon steel is one of the most favored materials in knife-making, owing to its durability and the ability for it to produce an incredibly sharp edge. However, the designers over at LIGNUM figured that the ideal material for kitchen utensils is wood. Wood is eco-sustainable, light, flexible, and has self-cleansing and anti-bacterial properties. Which is why it is a very popular material for making other kitchen tools such as cooking spoons, cooking spatulas and cutting boards. 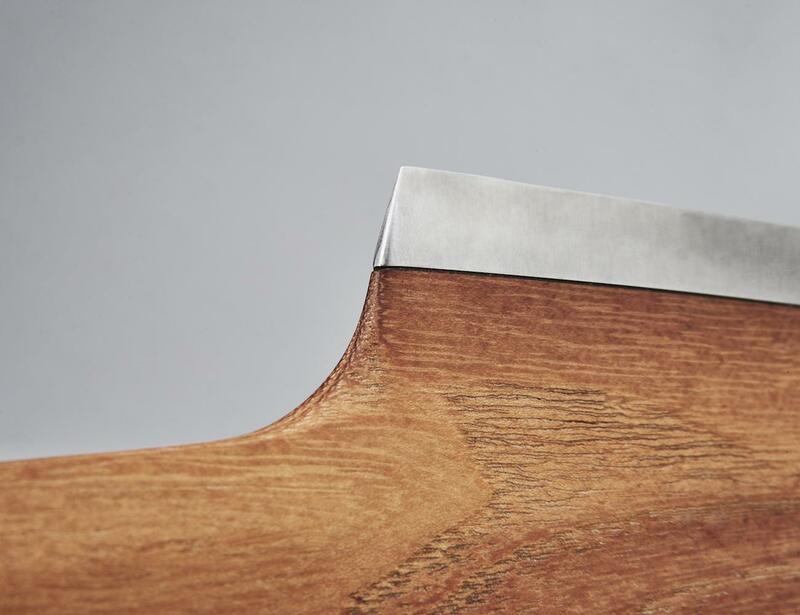 The only problem with wood is that it cannot hold a sharp edge. 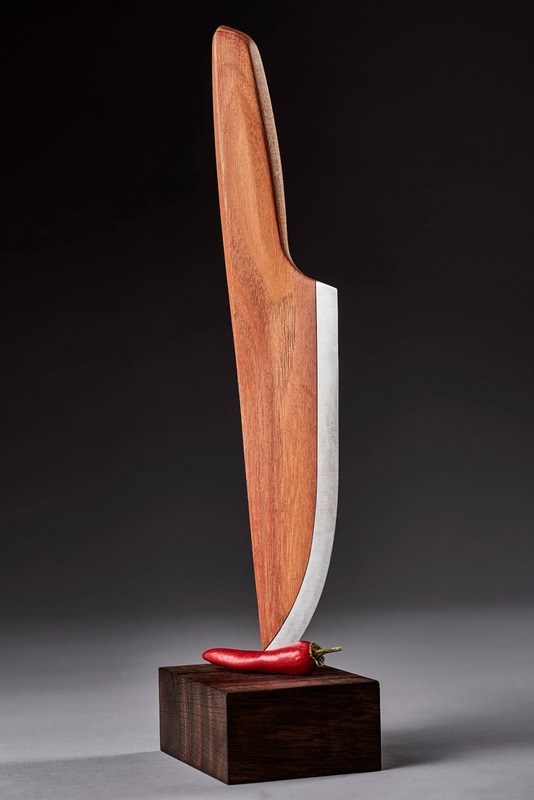 Therefore, there was an original idea: Why not make a knife made of wood and add to it a very thin steel edge! The result is nothing short of amazing. 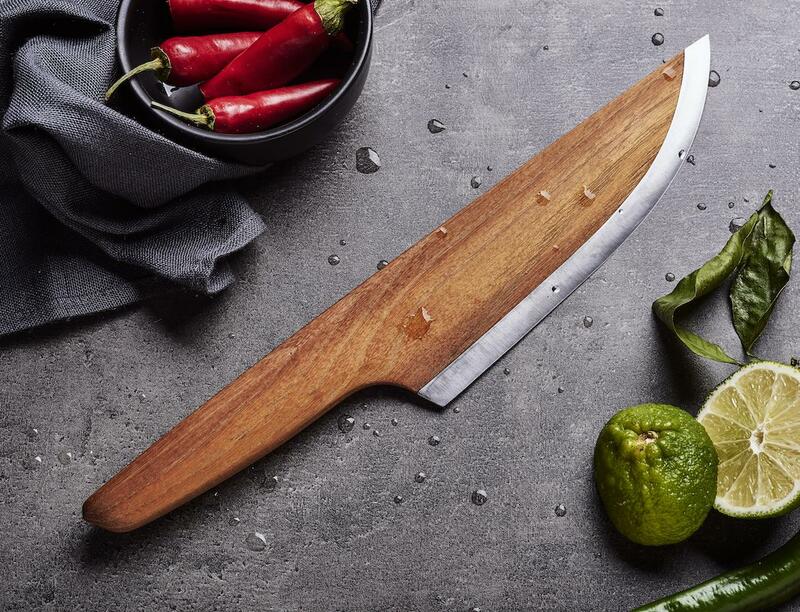 The wooden handle is so integrated that one cannot really tell where the handle ends and the knife begins, a really smooth and sleek form. 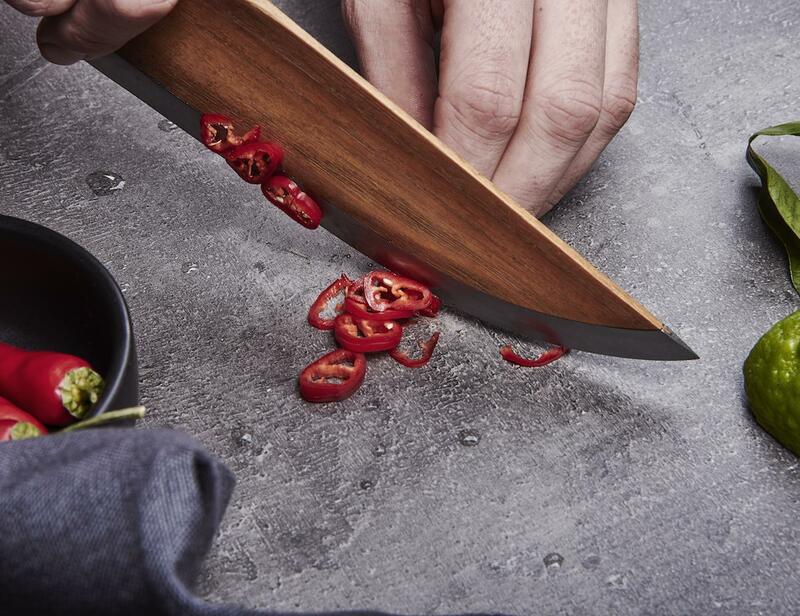 Moreover, the knife’s edge merges seamlessly with the body, creating something that looks so integrated that looks natural. 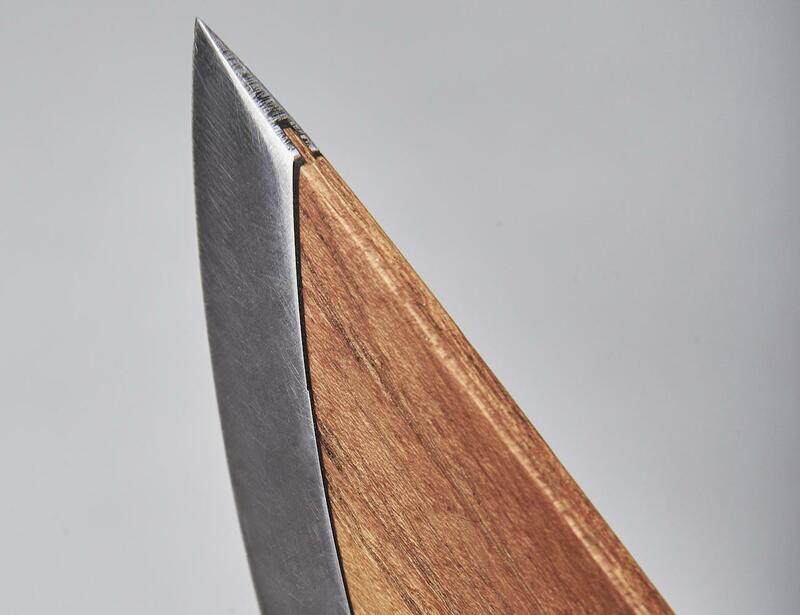 The Skid knife is extremely sharp, both figuratively as well as literally. Incredibly light to hold, the knife allows the blade’s edge to be the heavier part of the cutting tool, giving you better control. 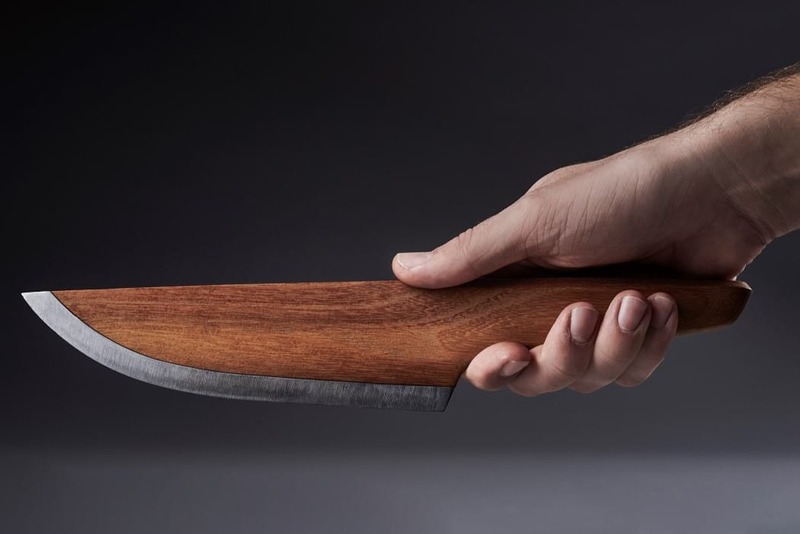 The entire body of the knife is precisely crafted in wood, and coated in linseed oil, making the wood impervious to staining and increasing its lifespan. 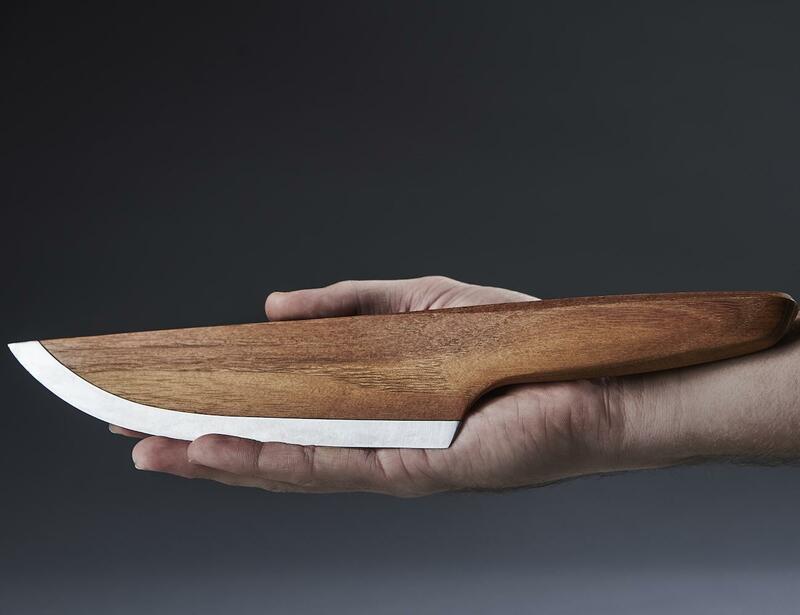 Apart from usability and aesthetics, this unique wooden chef knife is also extremely eco-friendly when compared to traditional knifes. 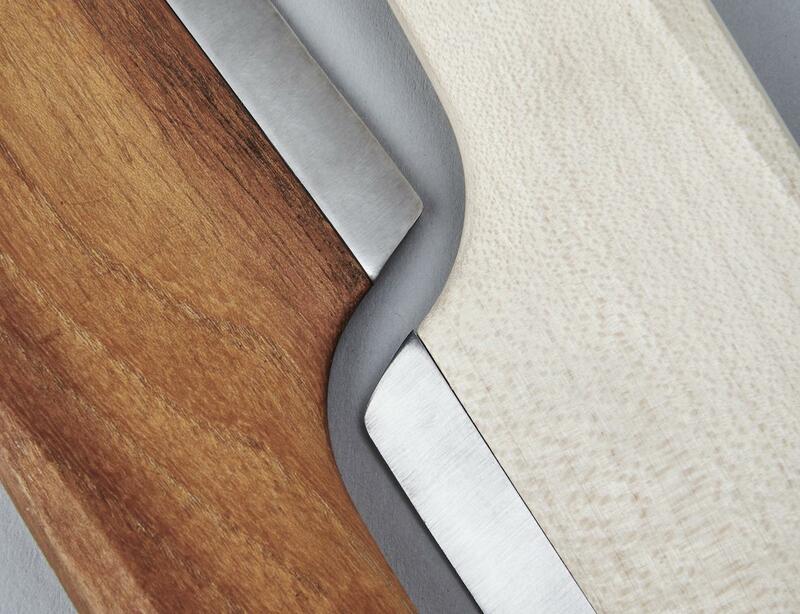 The minimal blade edge occupies just 3% of the knife’s volume, and this does wonders for SKID’s carbon footprint. SKID produces incredibly low amounts of CO2 while manufacturing its blade, owing to its small size. 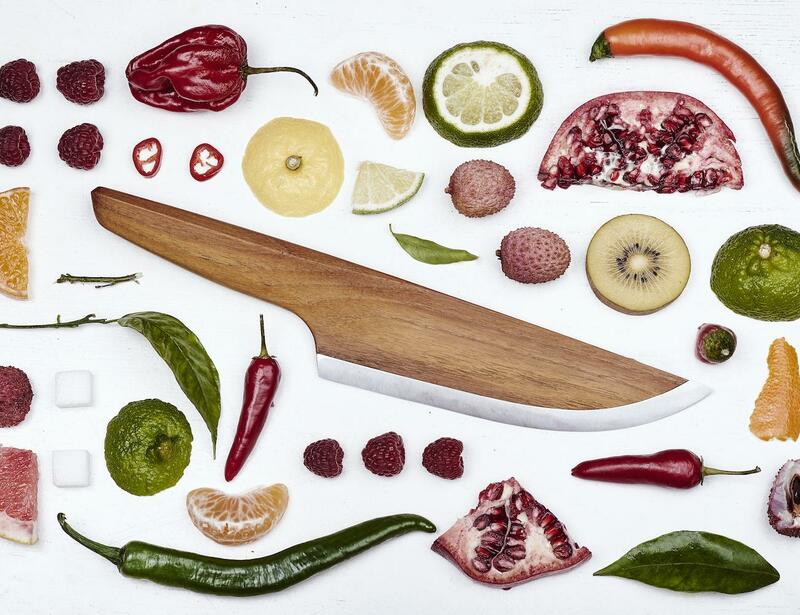 In fact, the producers claim they can produce up to 60-70 knives in the same footprint as one regular steel chef knife. This is because wood processing does not involve the same amount of water and energy steel processing requires. Less heat, less electricity, less water for cooling things down, and less CO2. 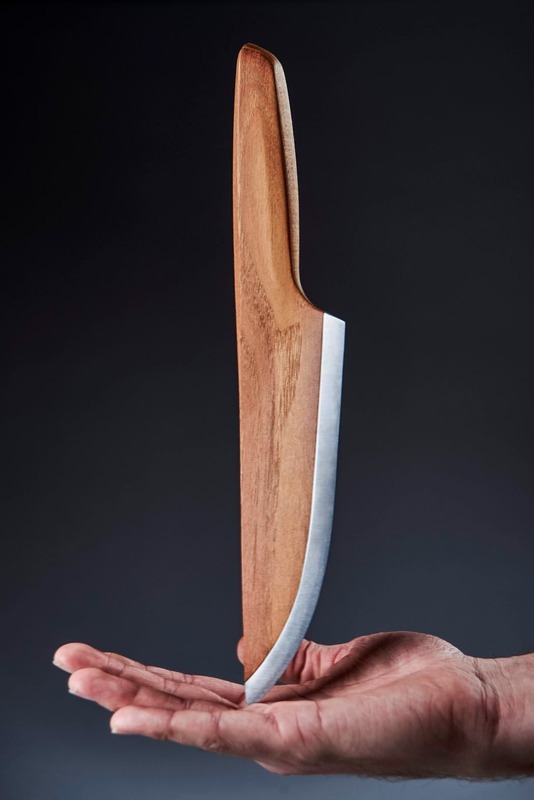 SKID produces around 67 grams of carbon oxide in its productions process, In comparison a conventional chef knife produces 2133 grams of carbon dioxide, that is 32 times more CO2! To produce 1kg of steel you need 30-50l of fresh water, this amount of steel can produce more than 70 SKID knifes. Furthermore, LIGNUM are also addressing the sustainability of their endeavor. They are planting trees to sustain the wood used in their knives and even use the off cut for packaging and holding systems. 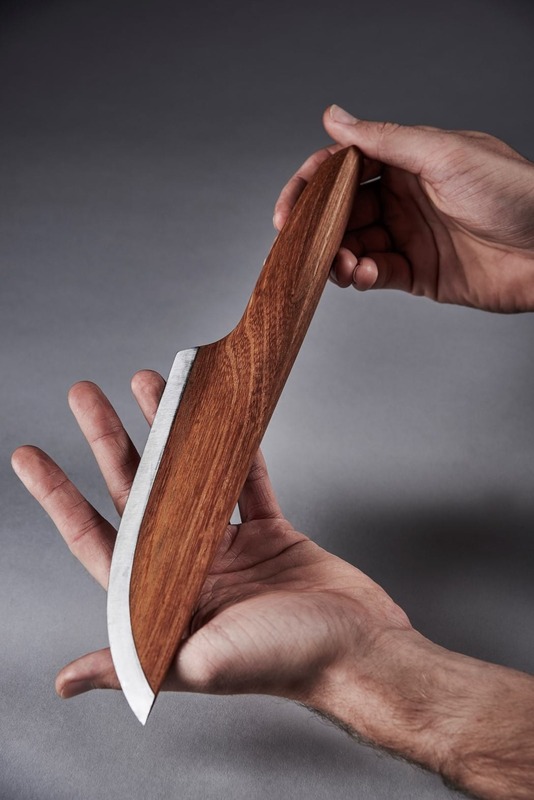 Being refined through dozens of prototypes, and finally being validated by 20 of the top chefs in the world, the Skid wooden chef knife is not just an incredible knife to use in your kitchen, it is also a brilliant case study of industrial design, sustainable design, and material blending!